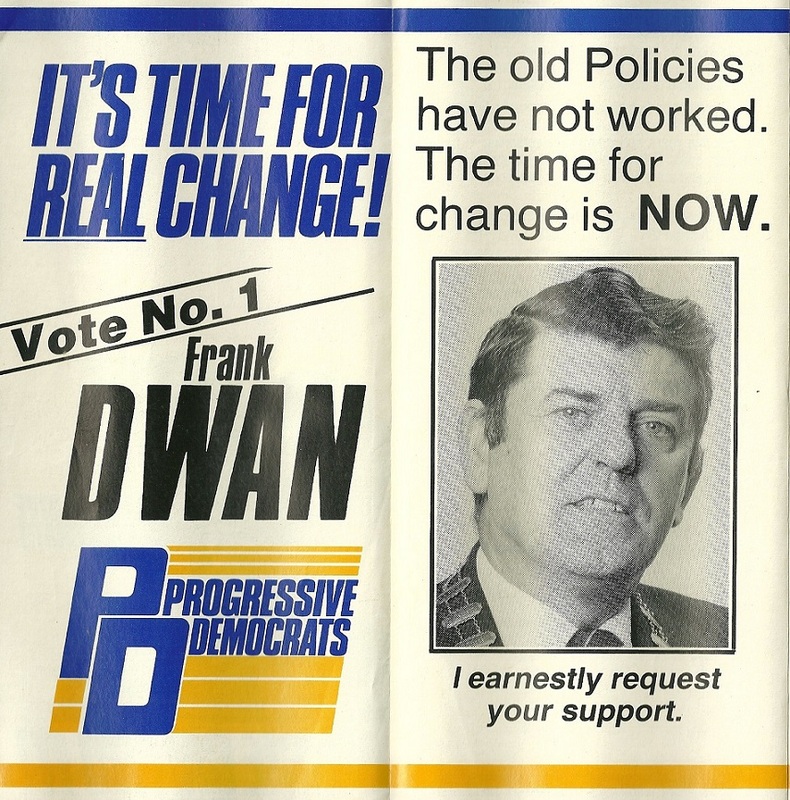 From the 1987 General Election a leaflet from Frank Dwan of The Progressive Democrats who was running in Tipperary North. He polled 2,444 votes and missed out on a seat. 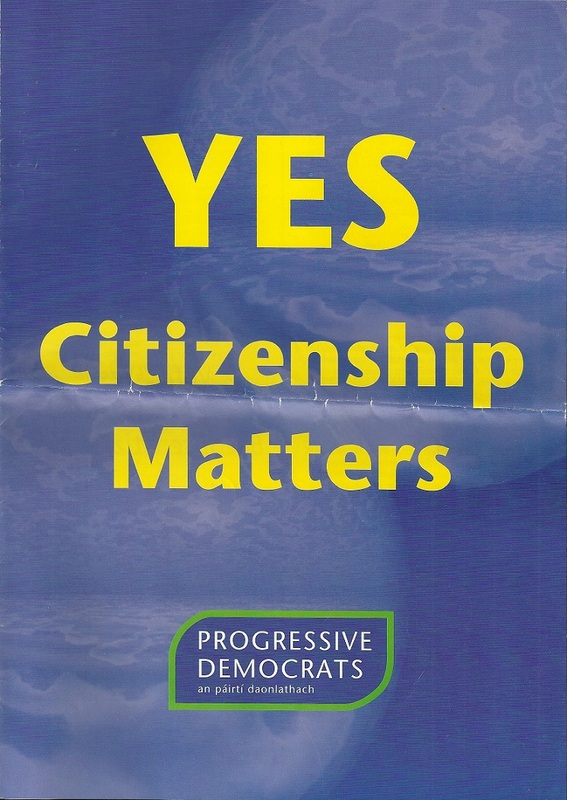 From the 1999 Local Elections a leaflet from John Minihan running for the Progressive Democrats in Cork South East. Minihan was elected to Cork City Council.